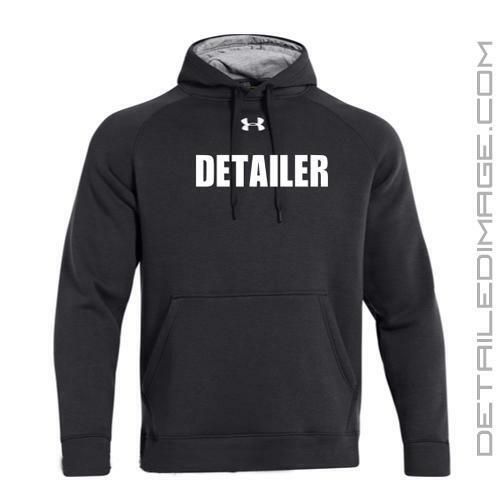 The popular Detailer Shirt, now as an incredibly comfortable hoodie! We here at Detailed Image, are always excited to promote the detailing industry as not only a profession, but as a great hobby as well. The original Detailer Shirt took the detailing world by storm, so we decided to bring you the same concept, but as a hoodie. 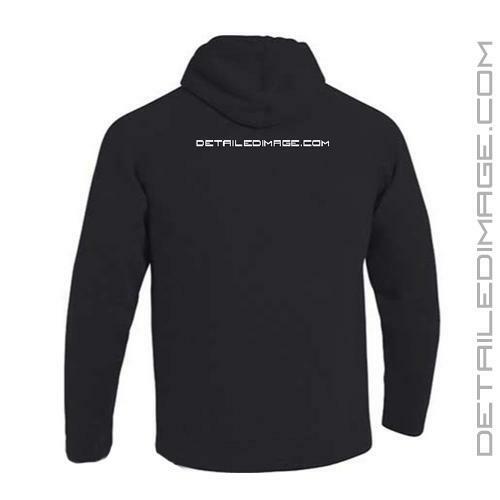 Now you can represent being a detailer, even in the colder months! The word DETAILER is placed across the chest in big bold letters with the iconic Under Armour logo atop. This draws attention to the front of the shirt and shows everyone your support for the detailing industry and the passion we all share, making our cars stand out above the rest! On the back you will find the DetailedImage.com logo featured as well. With the soft and comfortable Under Armour 80/20 cotton polyester blend, you can detail in comfort while staying warm. The high quality fabric features a loose fit and fits pretty true to size. We recommend going up one size if you like to machine dry your sweatshirts after washing, as these can shrink a little since they are made out of cotton. No matter if you run your own business, work in the industry, or are a rugged weekend warrior, stay warm and detail in style during colder months, with the Under Armour Detailer Hoodie! Do you want to see Renny Doyle, Ask-A-Pro Authors, and many other people wearing the original Detailer shirt? Check out the Detailer shirt page by clicking here. This hoodie is well made with great fit. The Hoodie being Under Armour quality is constructed very well. It fits snug, & is thin yet quite insulating. I'm very impressed! It's a great conversation starter as well. I just picked up the short sleeve heat gear shirt as well! Hoodie is comfy and get so many compliments on it. Soft and fits just right.